Whether you are hosting a wedding, a bar/bat mitzvah, a birthday party, we've done it ! And it's always been a big hit! 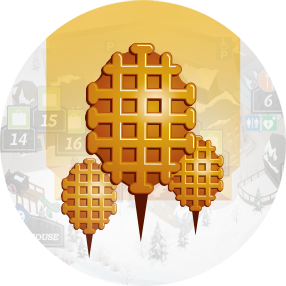 We come with our equipment to bake the waffles fresh as we do in the Waffle Cabins. They are served as we do at the Waffle Cabins - either original or with chocolate. 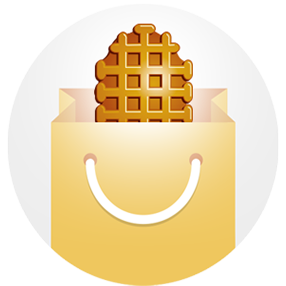 For those who know our waffles, there is no need to explain that this is not your typical waffle. For those who do not know our waffles, this waffle is made from a yeast-raised dough (not batter), it has pearl sugar in it that caramelizes as you bake the waffle, making it sweet and with a subtle taste that is oh-so-good! All the best with the preparations of your party! 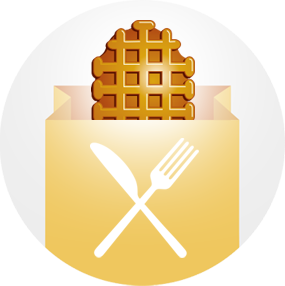 Which Waffle Cabin® location do you know us from?